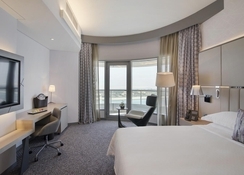 Situated in the heart of the business district in Abu Dhabi, the Pearl Rotana Capital Centre is a contemporary hotel. 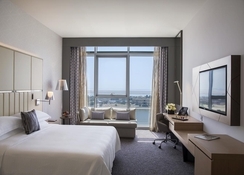 The Abu Dhabi National Exhibition Centre is just a stone's throw away from this 4-star property, while Yas Island and the city’s Downtown area are a short taxi-drive away. 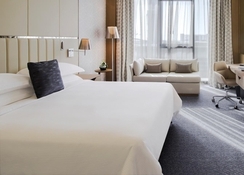 Each of the 315 rooms in the hotel are specifically designed to match the requirements of a variety of visitors, with a both One-Bedroom and Two-Bedroom suites to choose from. 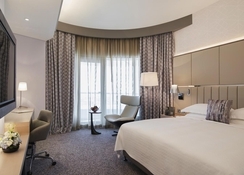 The facilities at Pearl Rotana Capital Centre include a rooftop swimming pool, Bodylines Fitness & Wellness Club, a gym, massage services and more – plus a total of five spectacular dining options to indulge in. 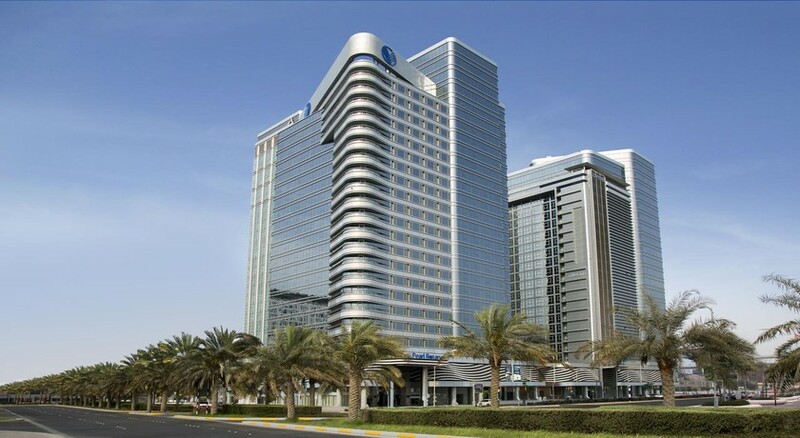 Centrally situated in the business district of Abu Dhabi, the Pearl Rotana Capital Centre is only 20 minutes’ drive away from the Abu Dhabi International Airport. It will be an exciting time for the shopaholics, as the Abu Dhabi Mall is about 13.5 km away, which can be reached with a 16-minute taxi drive. The Yas Island, which is a multi-purpose shopping, leisure and entertainment centre is at a distance of 32.9km, which is not too far. Rooms at the hotel come in three categories namely Classic Room, Premium Room and Family Interconnecting Rooms. The rooms are massive and comprise a king or twin beds. Room amenities include tea and coffee-making facilities, individually controlled air conditioning, 49-inch flat-screen TV, IDD telephones, multi-channel satellite TV, complimentary WiFi, walk-in shower or bathtub, hairdryer, personal safety box and mini bar. Pearl Rotana Capital Centre offers an innovative dining experience to its guests. With an extensive in-room dining menu, three casual dining outlets and two signature restaurants, you should get ready to treat yourself with delectable food and beverages. The main bars and restaurants include The Ware House Wine & Tapas Bar, Dino Bistro Italiano, Saffron, Chai Lobby Lounge and Aquarius Pool Bar. Or why not take advantage of the in-room dining service, which is open 24 hours a day and seven days a week. Guests have access to the Bodylines Fitness & Wellness Club while staying at the hotel, where you can stay active or take advantage of the massage services and sauna available. The swimming pool is great for those that wish to unwind and soak up the sun, or why not head out to explore the abundance of things to see and do in the surrounding resort?